Periodontal disease is the progression of gum disease-the 6th most common human disease worldwide. The condition is known to be not just an oral issue, but also a threat to overall well-being. 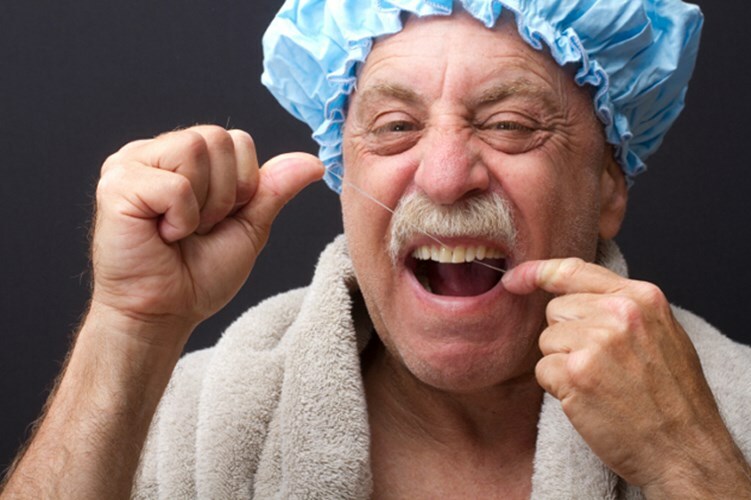 It is estimated, that 70% of the population over the age of 65 suffer from some form of periodontal disease. The condition has been linked to health issues such as cancer, heart disease, stroke and more. “Postmenopausal women with periodontal disease are more likely to develop breast cancer, according to research published in Cancer Epidemiology, Biomarkers & Prevention. Those with a history of smoking are particularly affected. Women with periodontal disease have a higher risk of breast cancer. Periodontal disease is a common condition that ranges from simple gum inflammation to a serious disease causing major damage to the soft tissue and bone that support the teeth, and loss of teeth. It has also been associated with heart disease, stroke, and diabetes, as well as oral, esophageal, head and neck, pancreatic and lung cancers. Previous studies have suggested that chronic inflammation could provide the link. Risk factors for periodontal disease include genetic predisposition, smoking and hormonal changes in girls and women, which can make gums more sensitive so that it is easier for gingivitis to develop. People with reduced ability to fight infection due to diseases such as diabetes or treatment for cancer are also prone. Medications that limit the flow of saliva can also leave the mouth vulnerable to infections. Regular brushing, flossing and cleaning by the dentist can help to prevent it. Researchers led by Jo L. Freudenheim, PhD, distinguished professor in the Department of Epidemiology and Environmental Health in the University at Buffalo’s School of Public Health and Health Professions, NY, set out to investigate if there was any relationship with breast cancer. Gum conditions such as periodontal disease and gum disease have been also associated with kidney disease deaths, according to another recent study. It is proven for one more time that oral health issues do not only have to do with our teeth and gums. “The study – led by the University of Birmingham in the UK and published in the Journal of Clinical Periodontology – provides further evidence of a link between oral health and chronic diseases, say the authors. The connection between oral health and overall health is something that shouldn’t be overlooked neither by patients nor by medical professionals.